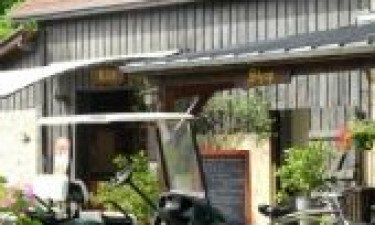 Set on the bank of the gently flowing River Dordogne, Le Port de Limeuil is a luxury camping site that is surrounded by pristine natural beauty. The village of Limeuil can easily be reached on foot and this is said to be one of the most picturesque and charming villages in the whole of France, while the campsite also offers guests a wide range of facilities to make use of while spending time unwinding there. What Makes Le Port de Limeuil So Special? The stunning river makes the perfect place to unwind – a factor sure to appeal to fans of luxury camping. 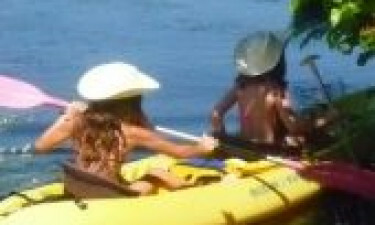 Canoes are available to rent on the site and messing about on the water in a canoe is an experience that people of all ages can enjoy. 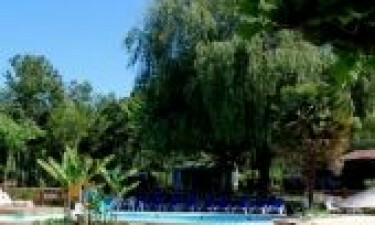 The campsite also features two swimming pools including a paddling pool for younger children and a whirlpool, while tobogganing and other types of water sports are available in the large swimming pool. One of the great things about this LUX-camp is that children of all ages are also provided with a wide range of exciting activities. The children’s playground comes complete with a sandpit that younger children as toddlers are sure to love making use of, while the trampoline is sure to inspire fun and other games that are available for children to play, including football and basketball. Playing games such as table tennis and volleyball is also the perfect way for parents to connect with their children and have fun. Le Port de Limeuil makes the perfect place to use as a base while exploring the surrounding area and there are plenty of enchanting natural attractions that are just waiting to be discovered here. Keen cyclists will be able to hire a bicycle at the campsite and head into the countryside to discover cool caves, historical castles and stunning valleys, while traditional towns and villages also make idyllic daytrip destinations. 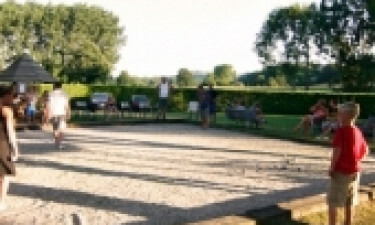 Barbecues are often organised beside the river and this is the perfect way to unwind at the end of the day, not to mention the best opportunity for socialising with fellow campers who are staying at Le Port de Limeuil. The site also boasts an excellent restaurant for people who prefer a more formal dining style, while various types of evening entertainment are often organised for guests of all ages to enjoy. One of the main advantages of choosing to rent a mobile home at Le Port de Limeuil is that the site is situated right at the entrance to the village of Limeuil. This is a great place to explore on a sunny day and guests who arrange a camping holiday here will find shops that sell everything they could possible want right on their doorstep.